I have lived and worked in Southwest Wyoming since 1991. 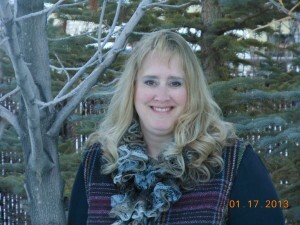 I am native to Southeast Montana and graduated with a Bachelor’s Degree in Accounting from Montana State University in 1991. I accepted my 1st job after college as an IRS Auditor in Rock Springs, WY which enabled me to gain a vast amount of experience and expertise in the taxation of many different types of small businesses found in Western Wyoming. In addition, I gained inside knowledge of the many processes and procedures used by the IRS in it’s enforcement of our U.S. Tax Code. I worked for the IRS as an auditor for 6 years when I first became a mother. My daughter, born in 1997, was the motivation behind me starting my own tax and accounting practice which I have operated out of my home since November, 1997. I enjoy the flexibility and advantages that a home office provides me and I am able to pass on some of these unique advantages to my clients such as occasional evening and Saturday appointments when an urgent need arises. I really do love my job and get a lot of personal satisfaction out of helping my clients.